Whether you are a beginner looking to start your first website, or a tech-savvy business owner creating your company’s e-commerce store, one of the first decisions you will make is what Content Management System, or CMS, to use. 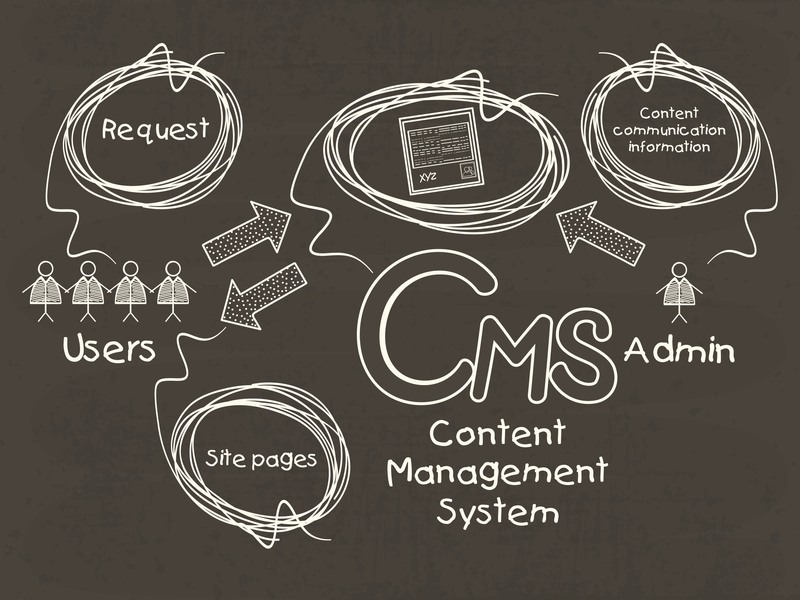 A CMS is an application that supports the creation and publication of digital content and media. More importantly, a CMS allows creators with little knowledge of programming languages to easily create and manage websites and their content. Currently ranked the 3rd most popular CMS in the world, Drupal is considered as one of the most versatile, and robust systems available today. If you’re building a website that will contain a large amount of complex data, and expect to have heavy visitor traffic, Drupal is an excellent choice due to the speed and strength from its advanced structure. It also features a large amount of free themes and available add-ons. However, all of this comes at the cost of needing more experience and expertise to truly utilize this powerful, yet at times complex CMS. Drupal is enterprise-ready and will scale with your growing business. Next we have the 2nd most popular CMS, Joomla. When it comes to E-Commerce sites, Joomla tends to be a favorite choice for many. It’s based on PHP and MySQL, allowing more advanced developers to create powerful web applications. This has helped Joomla to build what’s considered to be one of the strongest developer communities around. With a minor amount of effort into learning Joomla’s terminology and structure, you can go on to create a fairly advanced website. Finally, we have by far the most popular CMS out there, WordPress. Back in 2003, WordPress started out as just a simple blogging tool. Today, it has grown into a full, feature-rich, content management system, that is currently running on more than 75 million websites. With it’s extremely easy to use interface, you can create a website in only a matter of minutes. Plus, with the endless amount of free themes and plugins available for WordPress, it’s easy to make your website look great. However, popularity does have it’s drawbacks. For instance, WordPress is one of the biggest targets for hackers. It is critical you keep it up-to-date to prevent attacks on your website. Regardless, with it’s intuitive design and countless number of free customizations, this easy to manage CMS demonstrates why it’s a popular choice. All three CMS applications listed above have their own pros and cons, but a benefit they all share is that they are free to use, open-source software. Plus to make things even easier, they all support simple one-click installations. Need help getting started? At TurnKey Internet, our Cloud Solution Specialists are here to assist. Contact us today! Those of us with any knowledge of the software industry would question statements aligning open source applications with Microsoft Products. Even more unusual is the fact that a new product from Microsoft which has recently come to market, actively promotes the use of open source applications to be run from its new web development platform. Strange as this may seem Microsoft’s new WebMatrix application is basing much of their marketing efforts of this product through the promotion of open source solutions which traditionally did not blend well with anything from the leader in licensed software. For those of you that don’t know what open source applications are let me offer a brief description. Open Source Software “OSS” is that which is available in source code form and the source code as well as certain other rights normally reserved for copyright holders, are provided under a license that permits users to study, change, improve and at times also to distribute the software free of charge. Some of the more popular open source applications you may recognize are, WordPress, Joomla, Drupal, and Sugar CRM. Before I discuss anything more about this phenomenon of Microsoft promoting open source software, I want to first explain what WebMatrix is and what it is capable of providing. WebMatrix connects you to a world of popular and free open-source Web applications, including DotNetNuke, Drupal, Umbraco, WordPress, Joomla and more. Once installed on just about any windows operating system, you simply select an application from the templates available or select from the built-in open source application gallery, and WebMatrix handles the downloading and installation of your new Web site. The days of hand-editing configuration files and making sure you have all the right components are long gone. Customize your site using the built in code editor and make it your own. Why is this happening? What is the benefit to Microsoft? 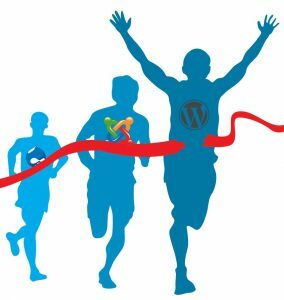 I am of the opinion that because many of these open source solutions such as WordPress, Drupal and Joomla are becoming so popular it is changing the culture of the industry and becoming more accepted that many of these solutions are every bit as capable as their more highly publicized licensed counterparts including many Microsoft products. Now by bundling many of the most popular open source offerings into a very user friendly web management platform, Microsoft gains the best of both worlds. By leveraging the consumer awareness surrounding the OSS products along with the branding of Microsoft it further legitimizes their acceptance and Microsoft still gets to participate as the developer of the platform. Oh and please be aware, WebMatrix at this point in time is a free application available to anyone, no strings attached. Don’t worry, I am sure as the leading software company in the World they will somehow be benefiting from this application release. Microsoft is currently running promotions with many of its partners including Turnkey Internet to bring brand name awareness to this exciting new application. To find out how you can take advantage of the of discounted pricing by bundling WebMatrix with other offerings visit WebMatrix at TurnKey.